Living room plays one if the important role of the house. It serves as the front room of the house. Living room also functions as a reception room, this is the place where visitors join together especially if there is a special occasion. Living room is also the place where family gathers whenever they came back from work, schools and other social activities. This is also the place where most of the family bonding happens like watching TV series, movies, karaoke singing. It also serves as a conference room for families whenever there is a problem or situation they need to discuss. Living room should not take for granted especially in designing because it served as the main showcase of the house. One of our client from abroad spending her Christmas vacation here in the Philippines, she decided to stay in her grand parents house in Narbacan, Ilocos Sur. She plans to beautify their living room because she notice that the atmosphere of their home especially their living room is uncomely, she also need to redecorate it because she expects more relatives and friends coming. 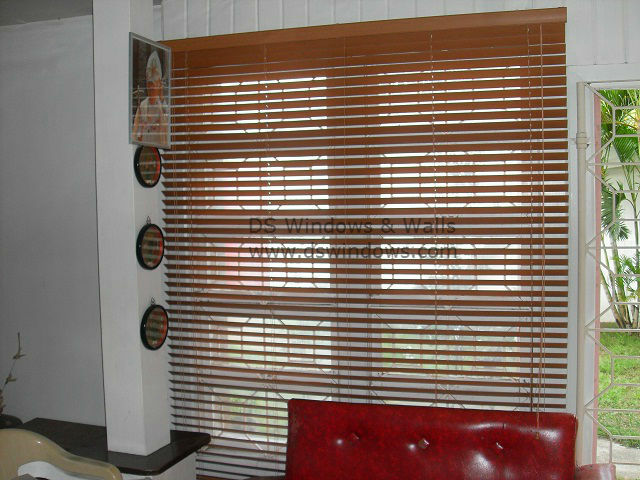 Our client also decided to replace their curtain window into blinds because it is more durable and trendy. She opted for faux wood blinds. This is cheaper than the wood blinds. 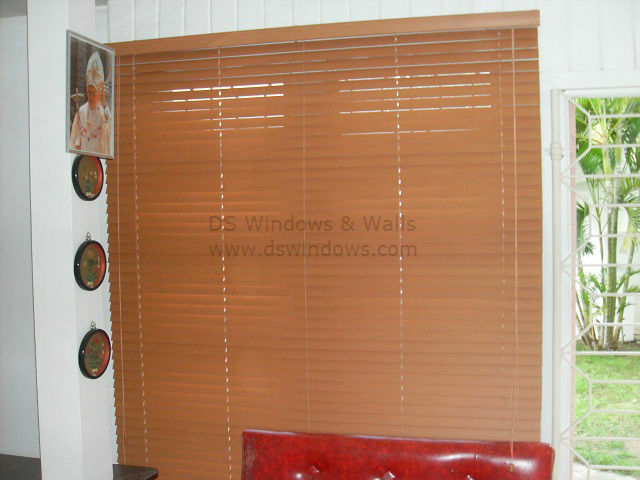 Faux wood blinds are water resistant, it is easy to clean you can wipe them to clean or rinse it with water. One advantage of faux wood blinds to real wood blinds is it last longer because faux wood blinds have much higher degree of resistance to moisture and heat. It also brings warmth and freshness in the living room. It also adds beauty and elegance to your home. DS Windows & Walls offers many varieties of colors that will suit on your home. For inquiries, you may call us at (02) 893-1373 / (02) 403-3262 / 0916-311-3909 or send your questions or inquiries to inquiry@dswindows.com. You can visit our showrooms at 4th Level Waltermart, Makati City, 3rd Level Robinsons Metro East, Pasig City and 2nd Level Pacific Mall, Lucena City.